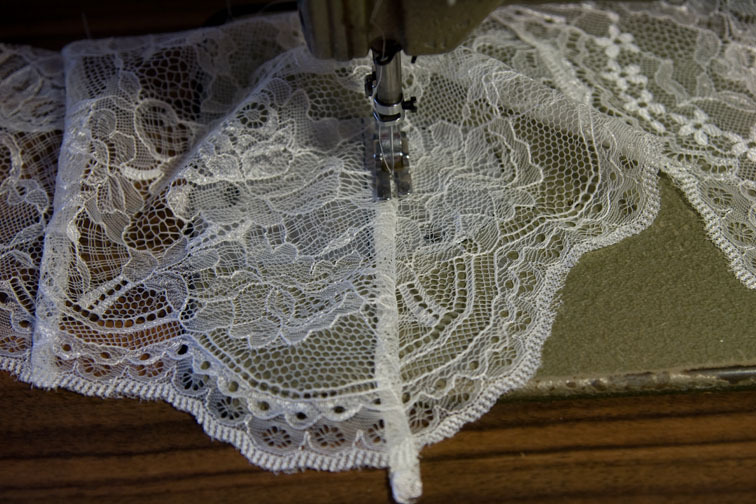 In #6 of the Ruby Slip Sew-along we are going to sew the lace bodice – isn’t it pretty?! 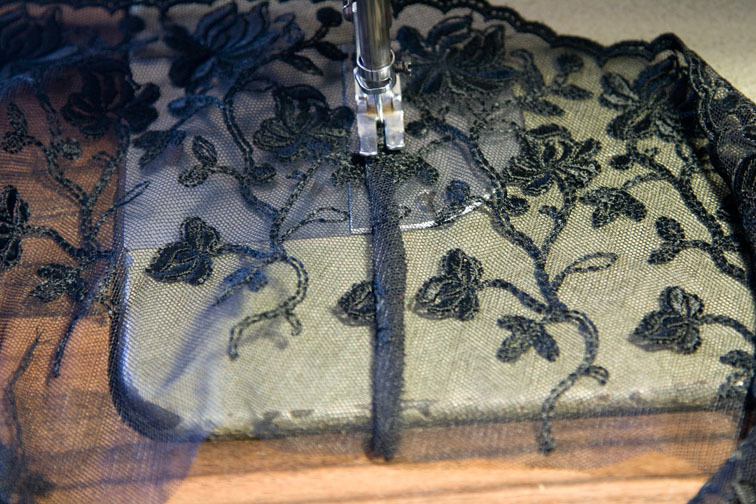 Now admire how pretty it looks – see how the CF neckline is a mirror image on both sides? 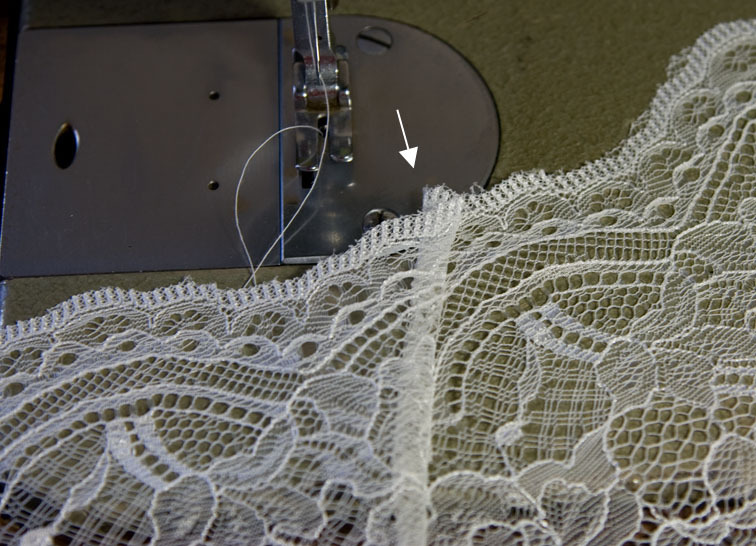 Fold it down so that it is hidden between the seam allowance and the shell and tack it in place. 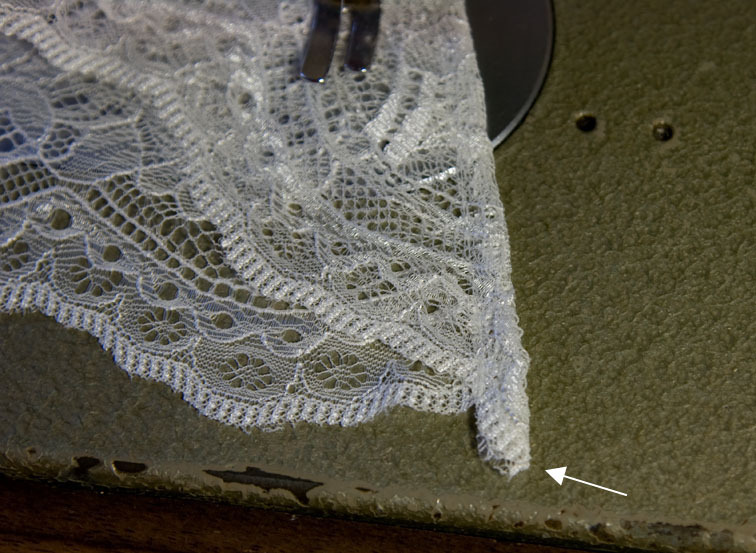 Because this lace is so sheer and the seam allowances are visible, I like to topstitch the seam at 4mm – you can hardly see the topstitching, and it holds the seam allowance in place so it doesn’t flip to the other side and always looks straight! 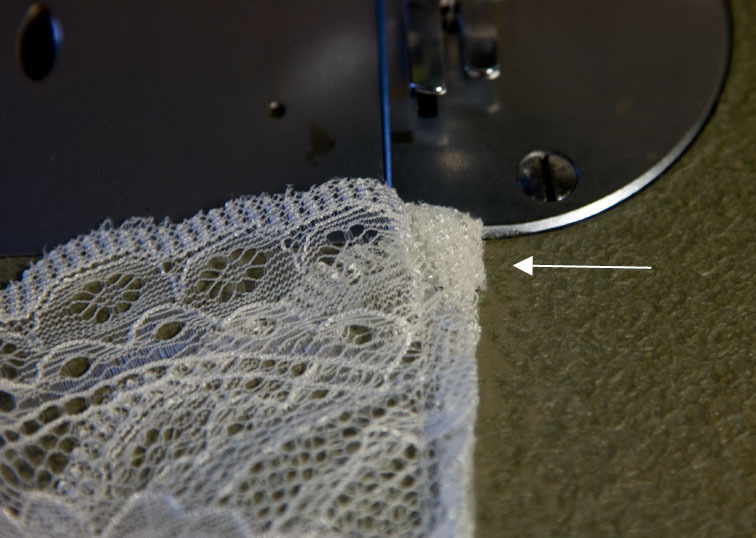 Topstitching makes the seam really flat, so you won’t need to press it every time you wash it! that looks so cute. 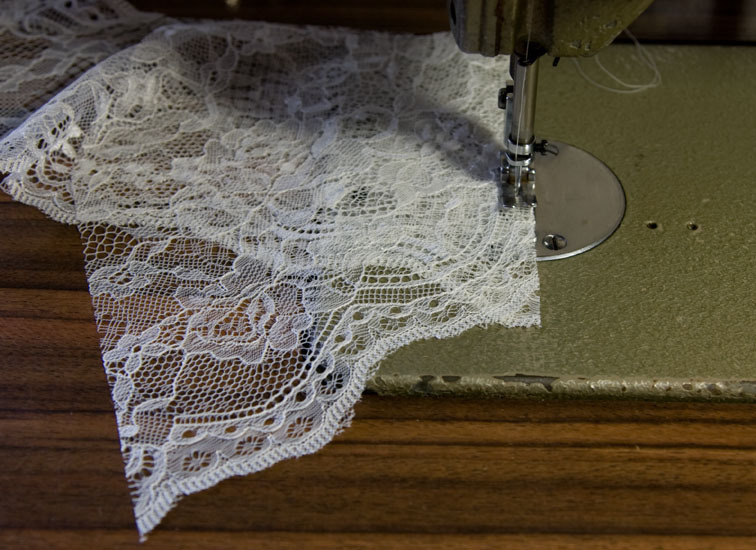 I am not presently sewing this, but it is on my must sew list for 2012. 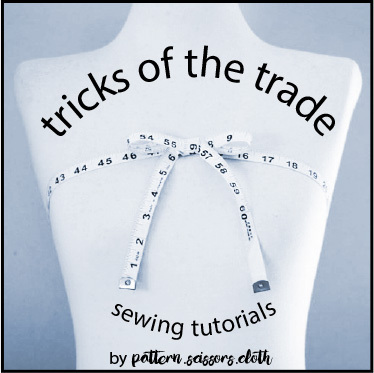 Your doing such a super job on this tutorial! Hopefully with the holidays over well almost, those of us who couldn't get going on this, can now! 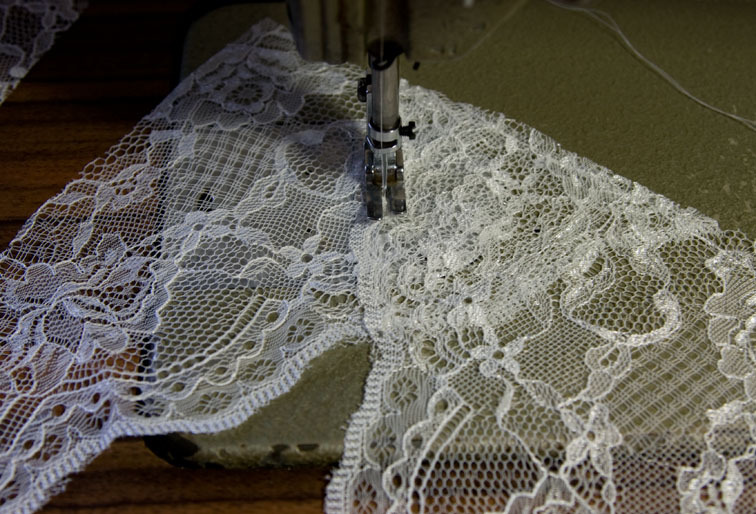 I'm really enjoying sewing this and after re-pinning the skirt it's looking a lot better, although not perfect. 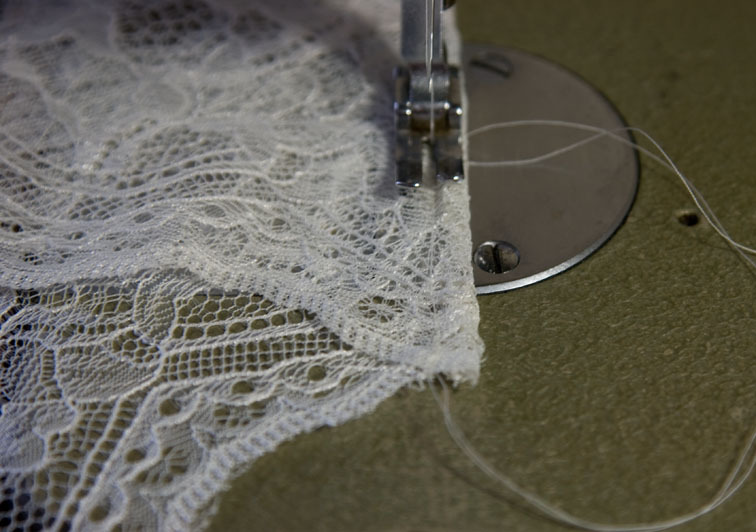 The fabric dropped quite a bit after hanging and I had to even out the hem by cutting off the excess in the middle. It's probably going to be on the snug side, but wearable. Update on my last comment. 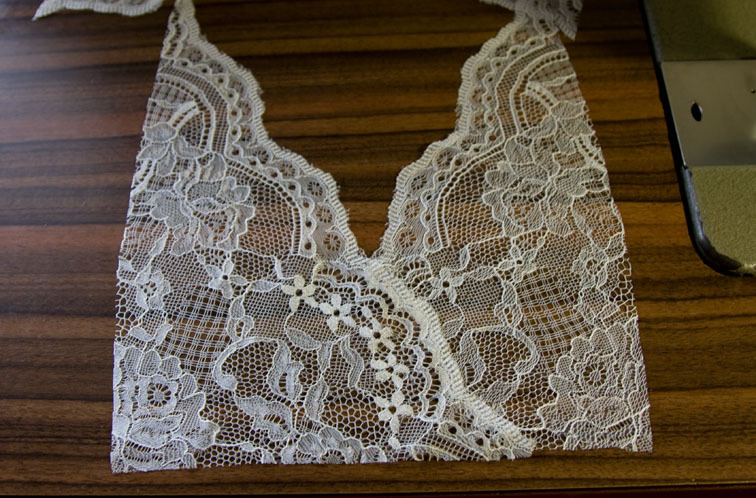 The lace appears to be quite stretchy, although it doesn't have any lycra and I think that's why it's the bodice is so big. It was only cheap and there's not much pattern on it, if you know what I mean. 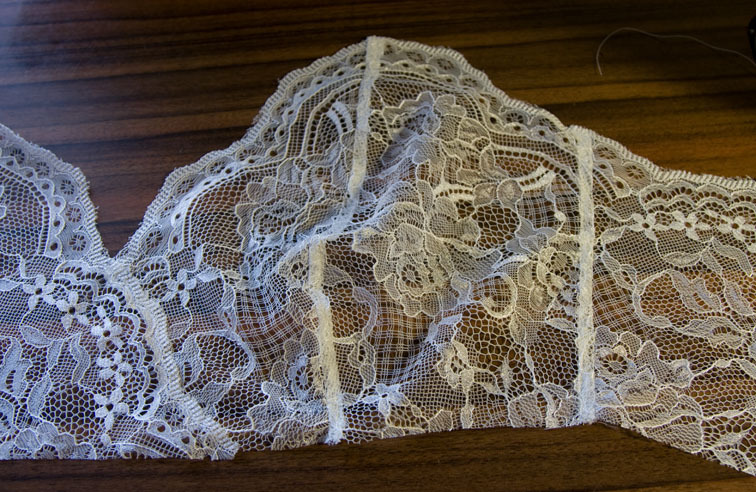 When I re-measured the paper pattern it should have fit pretty well, so off to look at some other, slightly stiffer lace. 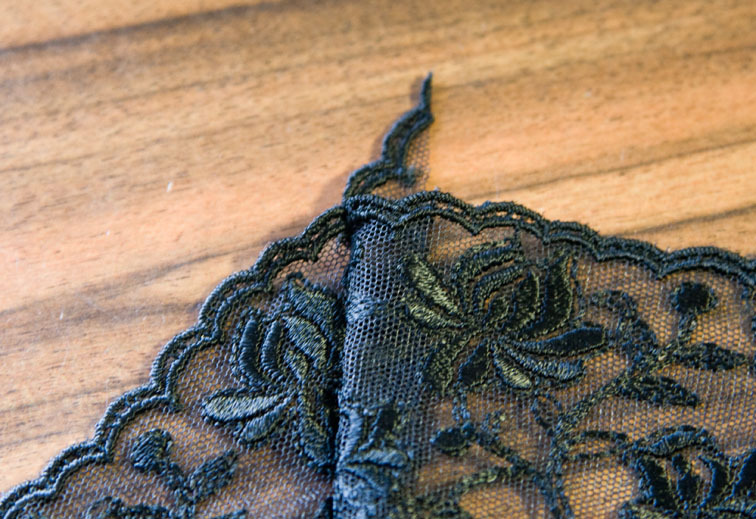 Bibliophile – Hopefully the new lace will work better! 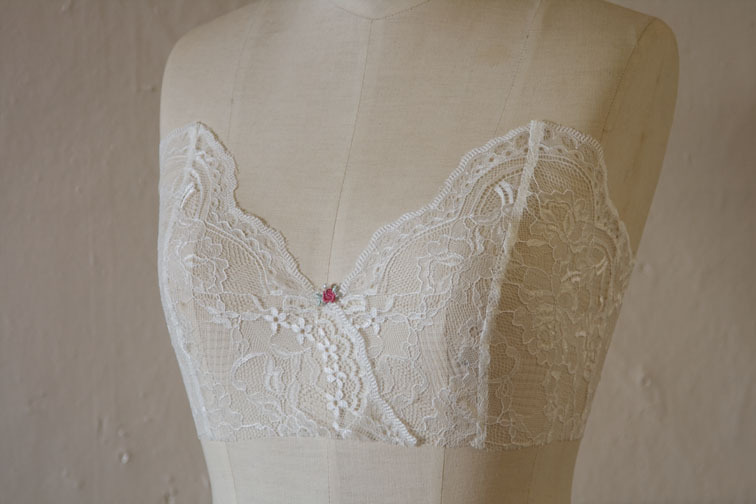 You could try a mock-up in calico first to check, also it won't hurt to add extra to the bodice length at the midriff if you think it might be short – it can always be cut off if it isn't needed, but you can't add it on! 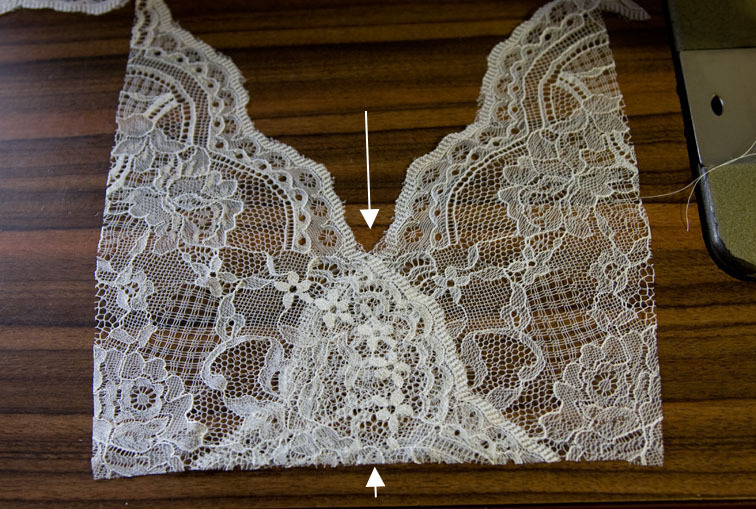 Thank you so much for the very detailed post, having problems finding the lace but this is definately on my sewing list, can't wait. 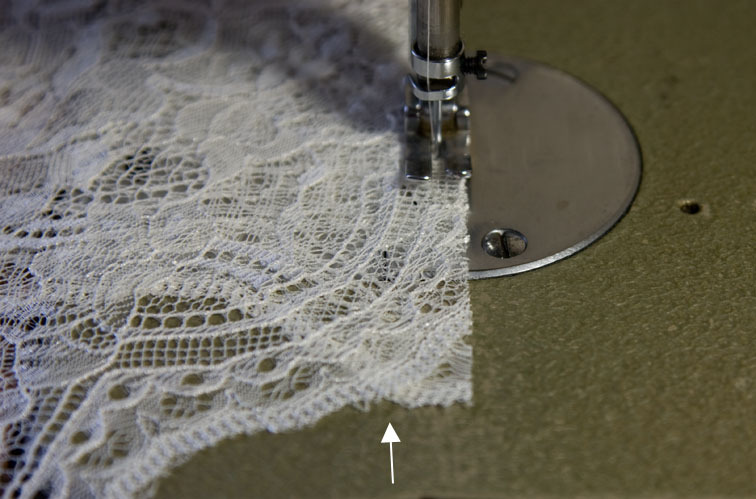 Maesha – if the lace is very open you may need to back it with something like satin/chiffon/organza so that it can be sewn. 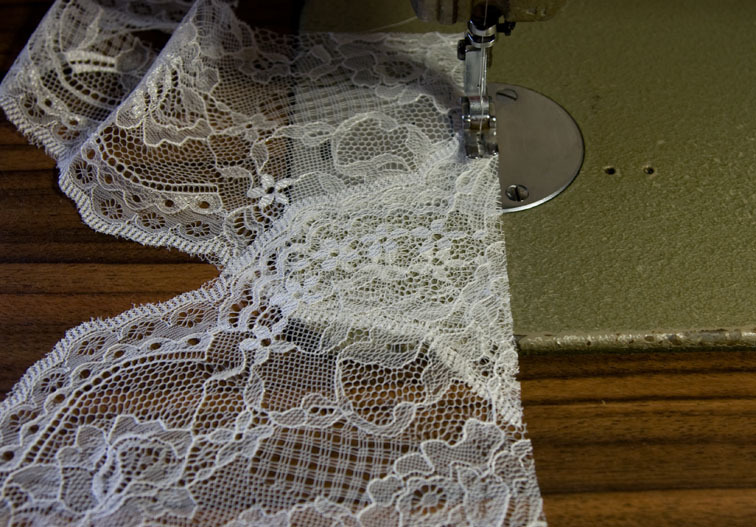 I'm excited to try this, but at the moment I am in need of a frumpier style slip. 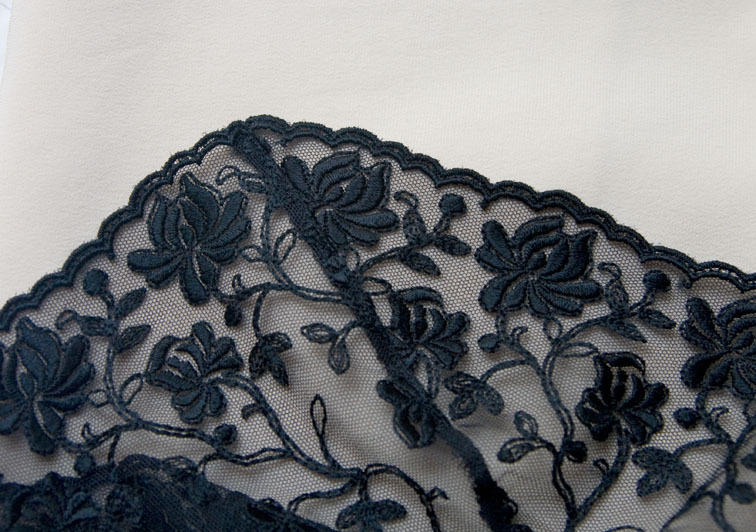 Do you think this pattern would work if I used charmeuse for the bodice in place of lace (that is, the whole garment would be charmeuse)? 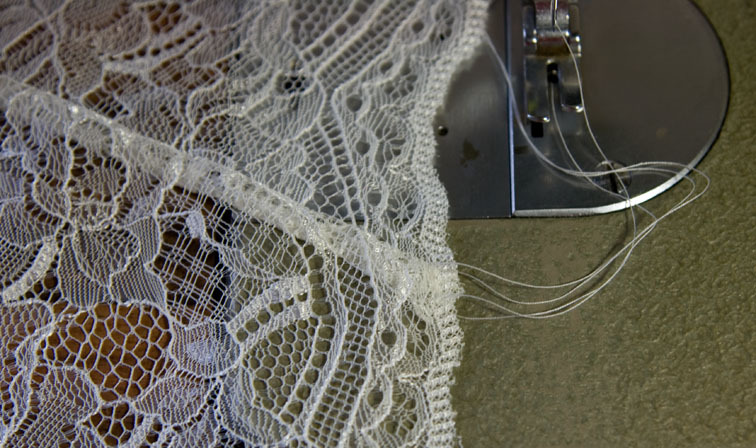 I haven't tried the whole slip in charmeuse so I can't guarantee, but I think it would work as the pattern is based on a woven block. 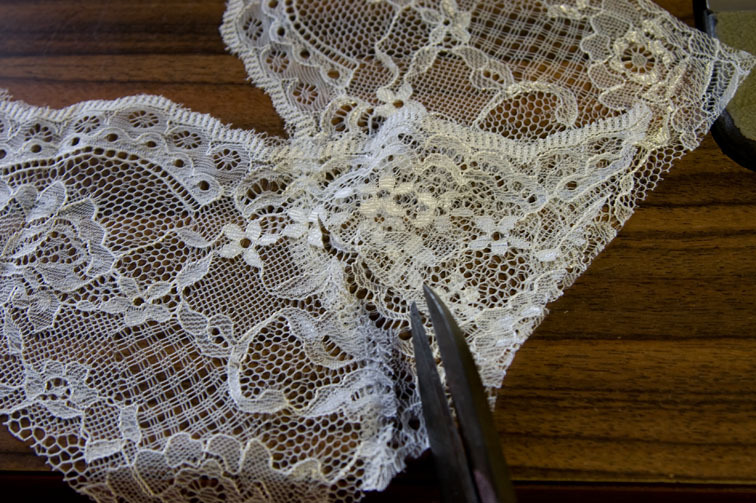 You would need to either bind or face the upper edges, and you might like to reshape the upper edges as these were straightened to adapt to the straight edge of the lace.